Wrought-iron staircases, independent coffee shops and vibrant nightlife — this is what defines Montreal’s Plateau neighbourhood. Eager to be close to the heart of it all? For a limited time at the Condominiums St-Dominique by DevMcGill, potential buyers can save between $10,000 and $40,000 on lofts, condos and penthouses on the corner of St. Laurent and Sherbrooke Street. Buyers seeking immediate move-in will also be reimbursed for notary fees. Stainless-steel kitchen appliances come pre-installed and are included in the purchasing price. Plus, new residents of Condominiums St-Dominique will receive one year of free public transportation — including the STM, Communauto and BIXI. Whether you metro, drive or pedal your way to work, DevMcGill has got you covered. 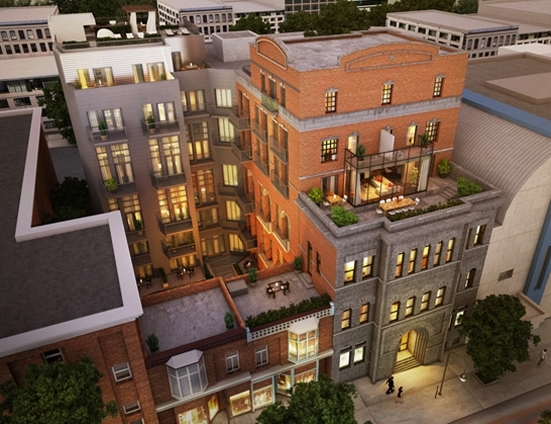 Located at 2118 Rue St-Dominique in the former Ekers Brewery, the condominium offers exceptional heritage value. In fact, the building’s stone finished façade still bears the name Ekers. The 64 unit boutique style condominium includes lofts, condos and penthouses priced between $222,000 and $738,000. One bedroom, two bedroom and three bedroom floorplans are still available, with 502 to 1,539 square feet of open-concept living space. The Condominiums St-Dominique features a tranquil, rooftop terrace with lounge chairs and a barbecue area. The ground floor inner courtyard is artfully landscaped and a great spot for a bit of quiet reading. The on-site, climate-controlled gym offers cardio and weight training equipment — motivating yourself to workout during the winter months has never been so easy. The St-Dominique is situated among the liveliest Montreal districts — experience four seasons of festivals at the Quartier des Spectacles, boutique shopping along Saint Laurent or tempting eateries on the brick-paved Avenue Duluth. With Saint-Laurent metro only two blocks away, the entire city is easily accessible. 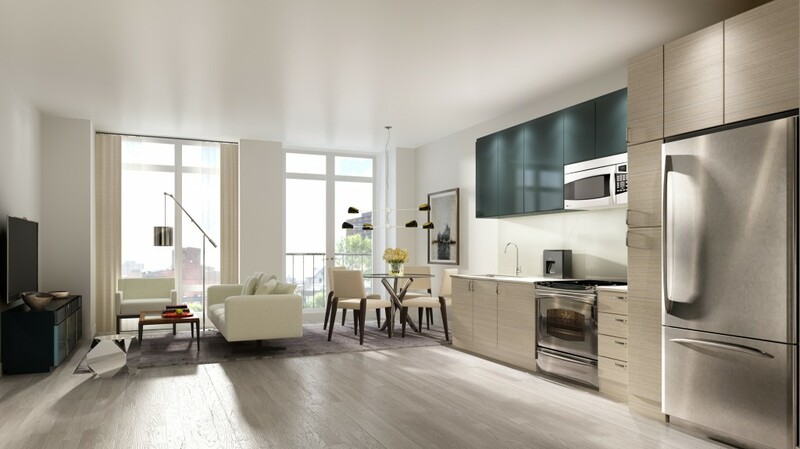 To take advantage of move-in discounts at the Condominiums St-Dominique, visit the sales and visit gallery at 2122 Saint-Dominique Street. For more information, please call 514 418 6486 or visit www.devmcgill.com.